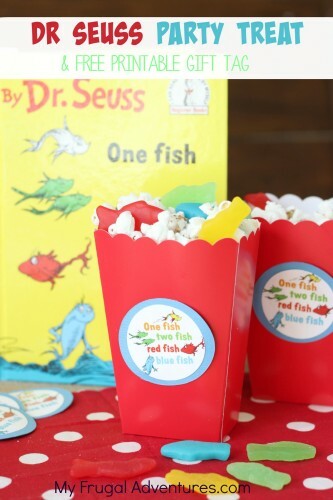 I know we have been heavy on Dr Seuss posts the last few days and I wanted to squeeze in just one more idea. 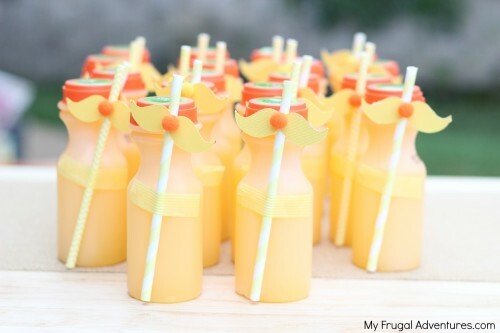 I made these little Lorax orange juice bottles last minute for my little girl’s class today and they were so fast and so cute I wanted to mention them to you as well. 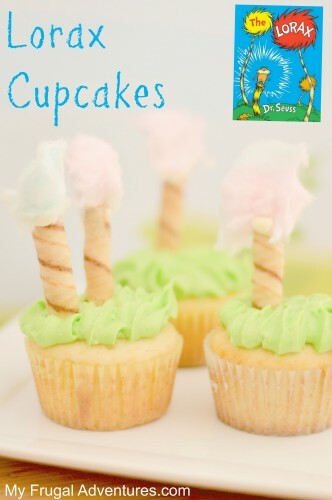 We absolutely love the Lorax movie and the message fits for Earth Day, Dr Seuss’ birthday and for any Dr Seuss or reading themed parties you might be having. I found a citrus punch drink at Walmart- these were super inexpensive and plastic so an easy option for the classroom. The brand is Tampico and they were $1.25 for 6- so very affordable. I would have made a healthier choice at home and probably used mason jars or little milk jugs and a real orange juice not a punch. For school practicality won out and I wanted something with a lid that was disposable. These citrus punches were the only thing I could find so hey- a little heavier on the veggies tonight to make up for it 🙂 If the kids don’t finish these in class they can stuff them in a lunchbag and bring them home for a treat later- no fuss for the teacher. Next I bought yellow straws- these were 12 for $1.00 in the Target Dollar Spot. Walmart has them for super cheap too in the party section. I found mini pom poms at the craft store- I couldn’t find a pack with just orange so I bought a rainbow pack of mini poms for about $2.00. Fortunately there were plenty of yellow and orange inside to make noses on the mustache. The mustache will be the only issue for most people- I cut the shapes out in just minutes on my Silhoutte Cameo machine. I just loaded in some scrapbook paper that was about $.70 at the craft store and was able to cut 24 mustaches on one sheet of paper. 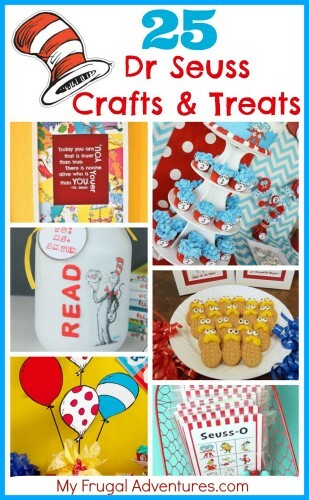 If you don’t have a Silhouette or Cricut to cut, these would be easy enough to make. Just download an image of a mustache from the internet, print on cardstock and use that as a template to cute your mustaches by hand. Fortunately the Lorax’s mustache is a simple shape to cut. I used white glue to adhere the nose to the mustache, once that dried I used the same glue to adhere the mustache to the straw. Super simple! 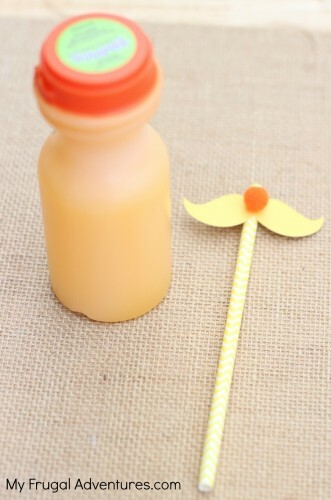 And I used yellow Washi tape to just tape the straw right onto the bottle and you have a super cute little drink. 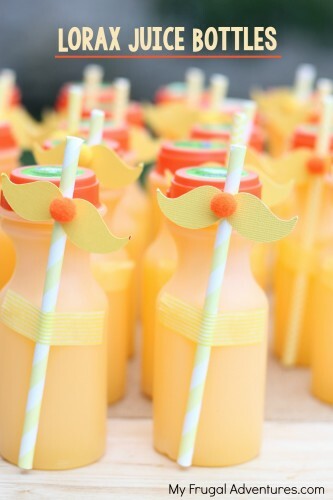 The bright colors of the juice and the mustache are so fun. The kids will love these.